BIDAPOLY ND Students Acceptance Fee 2017 is 10,000 Naira. Federal Polytechnic Bida Acceptance Fees and Payment Procedure for all newly admitted students for the National Diploma (ND) 2017/2018 academic session is out. BIDAPOLY Acceptance Fee 2017 is N10,000.00 (Ten thousand naira only). 1. Kindly visit Bida Poly admission portal at http://eportal.fedpolybida.edu.ng/ . 2. Insert your JAMB Registration Number and one of your names in the required column, then click "SUBMIT" . 3. Click on ‘Acceptance Payment’ link. 4. Choose any payment Method of your choice (i.e Verve Card/Visa Card/MasterCard/BANK BRANCH/Generate RRR, print and proceed to any bank branch). 5. Click on ‘ Submit to Pay’ button to complete your Bida Poly admission acceptance fee payment. Important Notice: All BIDAPOLY newly admitted candidates are expected to pay the ADMISSION ACCEPTANCE FEE as soon as possible, else their admission will be WITHDRAWN. Federal Polytechnic Bida 2017/2018 HND admission list is out. Admission acceptance fee payment information has been released too. Please kindly bear it in mind that the released Federal Poly Bida admission list is for Higher national Diploma (HND) candidates for the 2017/2018 admission exercise. BidaPoly candidates who applied for admission into the HND porgrammes are advised to check their names on the list as soon as possible. Below am going to show you how to check BidaPoly HND admission list by yourself. 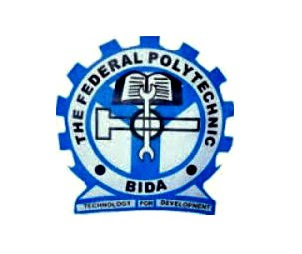 BidaPoly recently released admission list contains the names of candidates who have been offered provisional admission into Federal Poly Bida HND programmes. Successful candidates are to print their admission letters after payment of the prescribed Federal Poly Bida HND admission acceptance fee. With the above steps/procedures, you can easily check your 2017/2018 HND admission list of Bida Poly yourself.